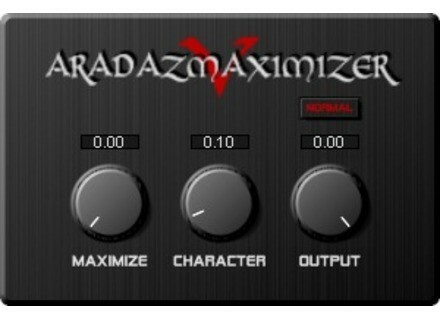 Aradaz Maximizer 5, Other software dynamics processor from Aradaz. Jeffouille's review (This content has been automatically translated from French)" Best maximizer of the moment?" Carefree and it's very VERY easy to adjust. No problem either, it's not a big plug-in that the pump system resource. Only problem: the price ... zero as it is abused for a plug of that quality! Christmas Cheers! 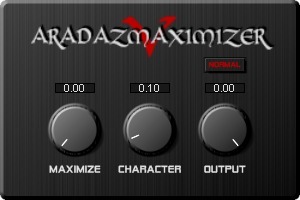 Aradaz has updated the Windows and Mac OS X version of Aradaz Maximizer 5 to version 1.6.5.